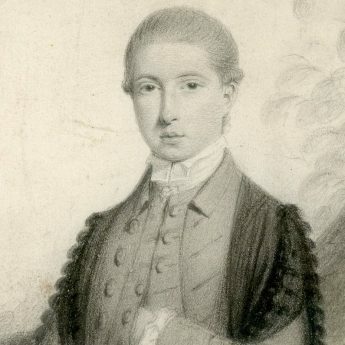 This finely drawn and well-detailed half-length portrait shows a young gentleman in a garden setting. 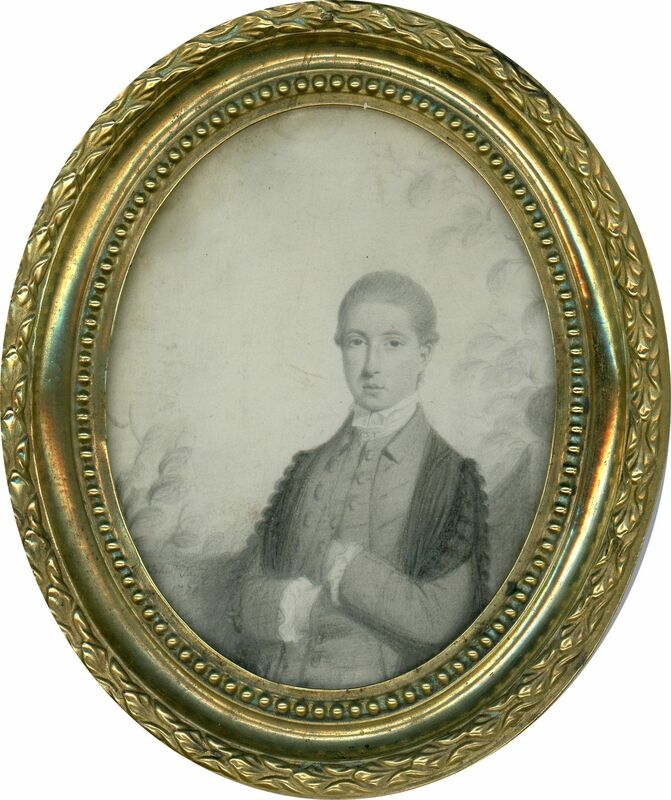 He is named on the reverse as W. Fenwick Jnr and is wearing an academic gown and bands over a buttoned waistcoat and open coat. 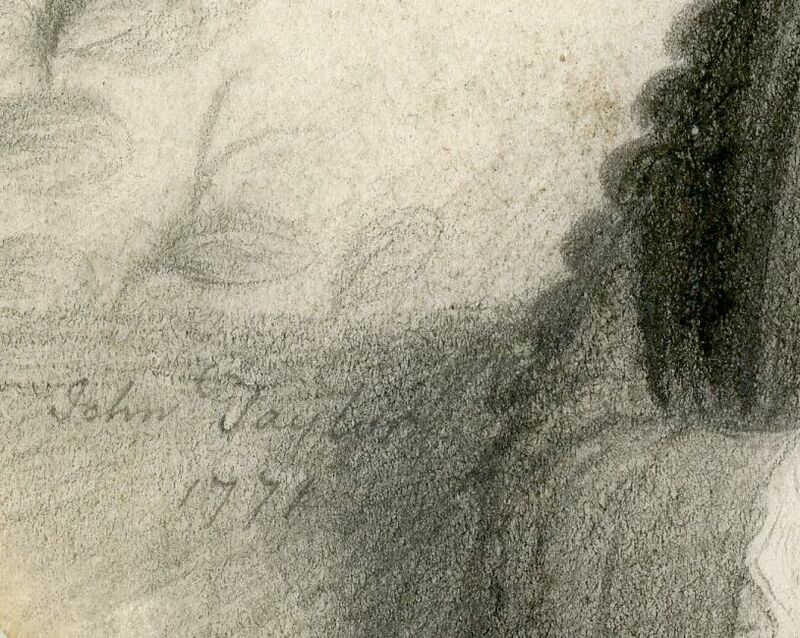 The portrait is signed on the obverse ‘John Taylor / 1771’ and is plumbago on vellum. 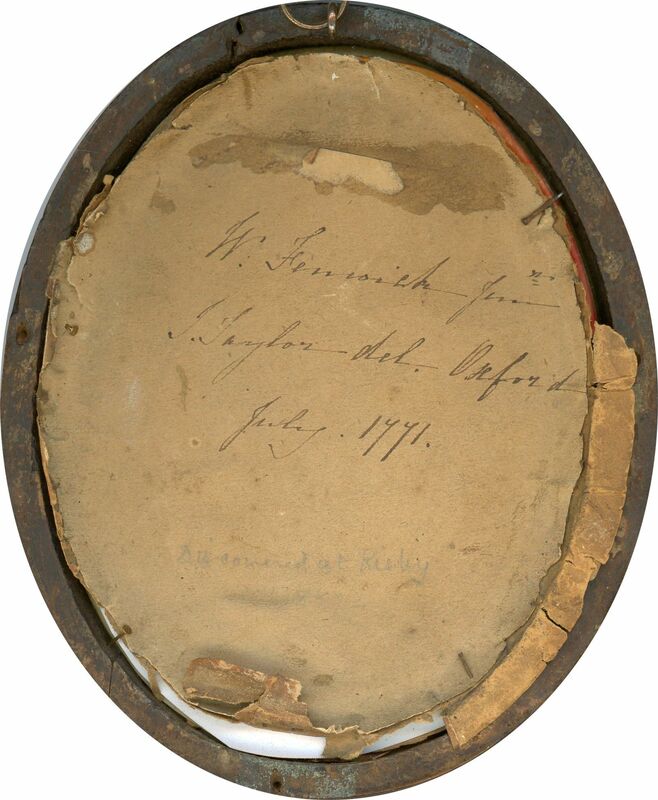 It is housed in a period pressed brass frame and is additionally signed on the backing paper ‘J. Taylor del. 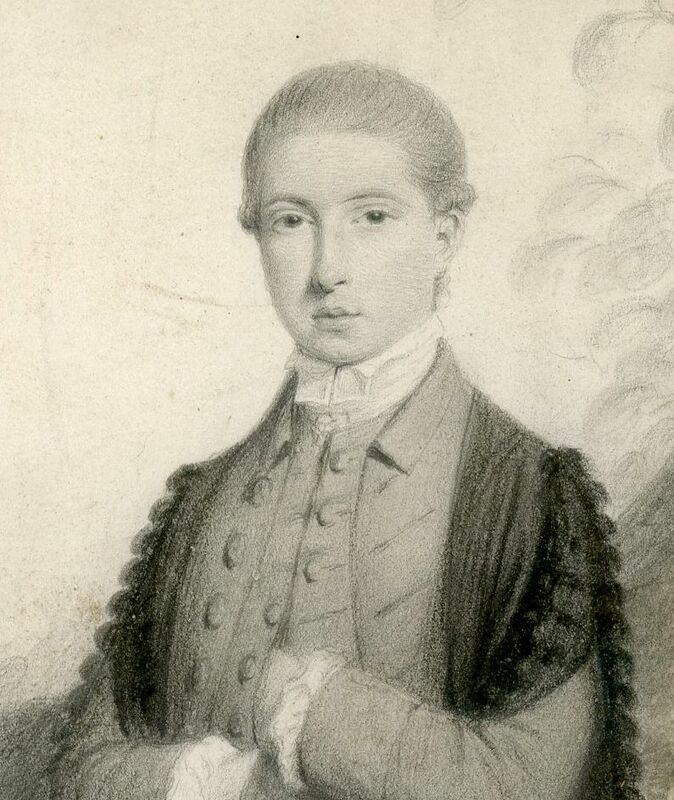 Oxford / July 1771’. 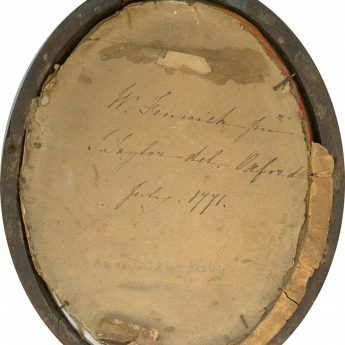 Apart from some light browning around the top edge, the portrait is in good condition. 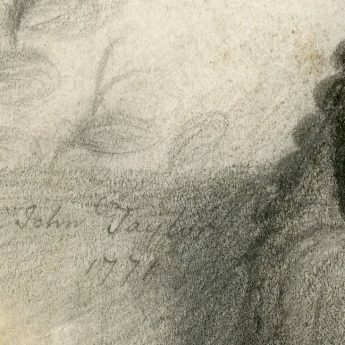 The son of a London customs officer, John Taylor (1738-1838) studied at the St Martin’s Lane Academy and exhibited at the Royal Academy and the British Institution between 1780 and 1838. Affectionately known as ‘Old Taylor’, he was in his 99th year when he died.